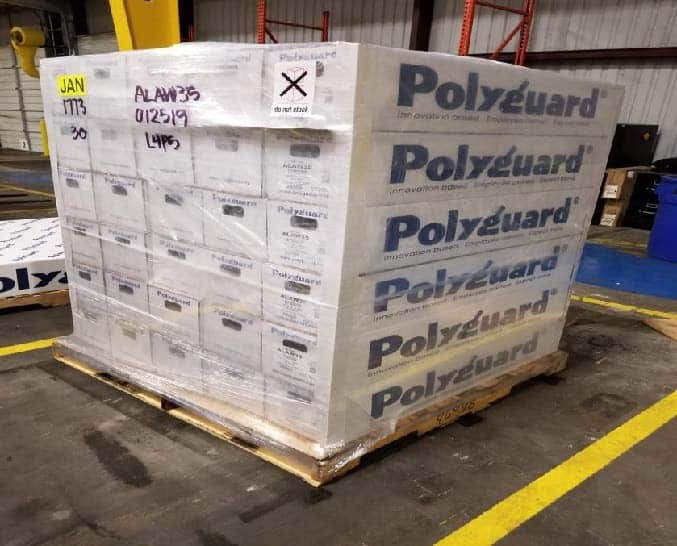 Over the next 60 to 90 days, we will be transitioning to new pallet configurations for our Mechanical Division Alumaguard, Insulrap and Zero Perm roll products. Roll products that currently ship as 36 roll pallets will be reduced to 30-roll pallets. Pre-paid freight requirements currently set at 2 pallets of 36 rolls (72 rolls) will now be 2 pallets of 30 rolls (60 rolls). 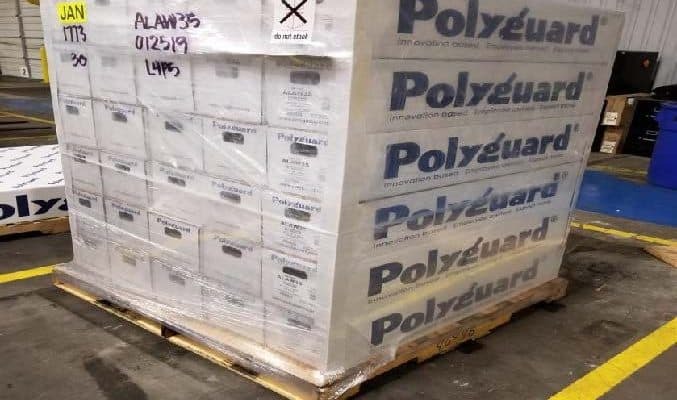 Alumaguard All-Weather which currently ships as one pallet of 36 rolls prepaid will now ship as a 30-roll pallet pre-paid. We're making these changes for two primary reasons: safety in stacking pallets in racks and better protection of the boxes to minimize damage in shipping. Attached to this letter are photos of new pallet configurations for Insulrap 50 and Alumaguard All-Weather, as examples. You'll note that we will no longer put rows of rolls perpendicular to the previous row. Our box supplier indicated to us that rolls should be stacked and parallel to each other to maximize box strength. Reducing rolls per pallet to 30 significantly reduces the weight of the pallet; allows us to use a slightly smaller pallet; makes the pallets easier and safer to handle and stack in racks; and minimizes damage during transit. We ask for your help in this transition. We currently have stock levels on our floor of various products in 36 roll pallets. 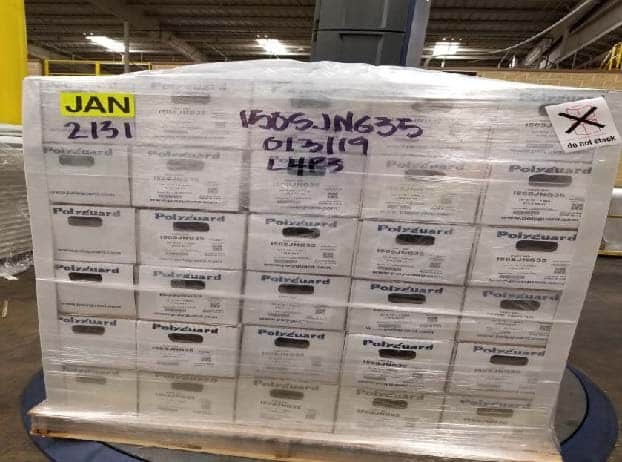 We will no longer make any product for stock in a 36-roll pallet, but it will take us some time to work through the 36-roll pallets we have in inventory. It's unlikely we will be shipping any 30-roll pallets before the middle of April, but we would ask for your patience. Please continue to order based on 36-roll pallets until Customer Service alerts you that 36-roll pallets are no longer available. We apologize in advance if you need to change your PO at that time but once a product is converted to 30 roll pallets, it will be permanent. 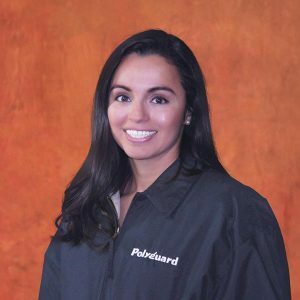 At Polyguard, we continue to strive to offer high quality, innovative products and world-class customer service. That includes how we package our products and safety in handling our products both in our plant and your warehouse. We hope you see this change as a positive. Effective September 1, 2017, Tony Garone and Nate Brink have been named co-division managers for the Mechanical Division of Polyguard Products, Inc.
After 30 years in the industry, Patrick Dunn, who has served as Vice President of the Mechanical Products since 1998, has decided to retire. He will remain with Polyguard during 14-month Phased Management Succession ending in October of 2018 and will serve as a technical consultant beginning in late 2018. Tony Garone has been with Polyguard since 2009 and has over 35 years of industry experience. Tony will manage the administrative aspects of the division. Nate Brink has been with Polyguard since 2010 and has 15 years of industry experience. Nate will take over sales/technical management responsibilities. If you would like more information about this topic, please contact Tre Bischof at 214-515-5000 or email at Tbischof@polyguard.com. Cool water is circulated to an electric chiller that lowers water temperature to around 45ºF or less. The chilled water is pumped to an air handling unit, where it captures ambient heat and disperses cool air. 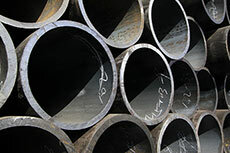 Large commercial and industrial systems may feature chillers weighing several hundred tons and a vast network of piping. By equipping each room with its own air handler, each area of a large building can be precisely cooled using a single chilled water system. Phenolic insulation for use in chilled water applications is produced in large buns. These buns are cut by insulation fabricators using automated computer profiling saws into pipe insulation sections to meet the required R value for a given project. Phenolic foam is a predominantly closed-cell material. Pairing closed-cell phenolic insulation with a good vapor barrier can result in a permeability rating of nearly 0.0, an ideal target for applications like chilled water where condensation is a concern. The end result of these characteristics determine if a product is ideally suited to chilled pipe insulation. But every chilled water system varies, so when selecting insulation, a range of materials should be considered. The chart above shows the balance between a material’s thermal resistance value (R=1/k, where k=thermal conductivity) and vapor permeability. High thermal resistance and low vapor permeability is desirable. Polyguard’s Mechanical Division sent a letter in mid November announcing a price increase scheduled to go into effect on 1/1/2017 to include the following products; all increases will be 5%. Increases will be included in work-in-progress projects which were bid with escalation. We appreciate your support of Polyguard Products and look forward to continued success in 2017. Since its introduction, Alumaguard® All-Weather has been widely accepted for its ease of use in cold weather applications and sales continue to grow as more and more end users become aware of its benefits. With that in mind we will introduce a product improvement in the first quarter of 2017 which is designed to improve our manufacturing reliability and also offer the end user assurance that the final product has an adequate adhesive layer. As you know the current product is constructed with a metalized polyester film coated with clear acrylic adhesive and a clear polyester release liner. So when you view the side of the product that adheres to the substrate, you see a shiny foil surface. You cannot see the clear acrylic adhesive or the clear polyester release liner. Beginning in the early first quarter, we will be tinting the adhesive a pink color so that when you view the underside of the membrane, it will appear pink. Tinting the adhesive will in no way change the performance of the adhesive but it will help minimize manufacturing errors and it will provide the end user assurance that the membrane has the proper adhesive coating if the pink color appears uniform and consistent throughout. We intend to use all of our existing raw materials before switching to the tinted adhesive and expect the transition to begin in mid-to late January 2017.